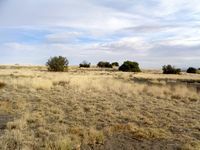 Chambers Ranch - Coconino County, Arizona- Headquarters West Ltd. 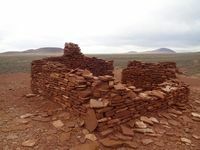 The Chambers Ranch is located approximately 20 miles northeast of Flagstaff in Coconino County, Arizona. 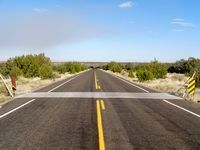 The headquarters is located 17 miles east of Highway 89 via the Sunset Crater National Monument Forest Road 545. 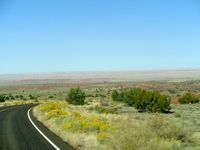 The Sunset Crater National Monument turnoff is approximately 14 miles north of I-40 via Highway 89. Building improvements consist of a residence for ranch help at the headquarters. It is approximately 576 sq. ft. and has a kitchenette, one bedroom and one bathroom; it is wood frame construction with a corrugated tin roof. There are no utilities to the headquarters, electricity is by generator, propane is available, heat is by a wood stove. 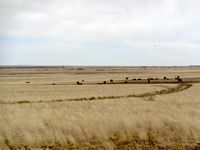 The ranch is fenced and cross fenced into 10 pastures, including shipping pastures and traps. 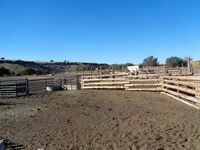 There are two sets of corrals with the main shipping corrals at the headquarters and the second corrals in the Kellam Pasture. 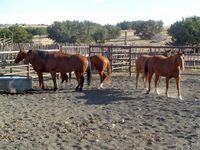 There are four wells strategically located on the ranch. The wells are equipped with submersible pumps that are powered by portable generators. There are PVC pipelines installed to several storage tanks and drinkers (water troughs). 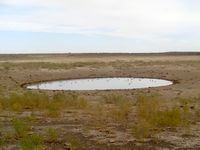 Surface water is provided by dirt (earthen) tanks, springs and the Little Colorado River on the ranch. 4,200’ to 5,500’, elevation at the headquarters is approximately 5,176’. Approximately one half of the ranch is mesa country. 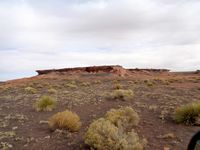 Approximately one quarter of the ranch is red rocks sand stone country. 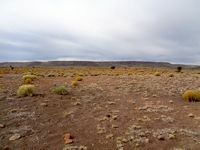 The balance of the ranch is cinder terrain. The Little Colorado River is part of the eastern boundary on the north end of the ranch. 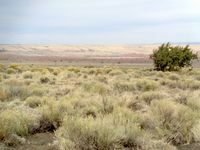 The ranch has several key species of grasses including Black Grama, Galleta, Bush Muhly, Blue Grama and Sacaton. Browse include Chamiza, Winter Fat, Four Wing Salt Bush, Apache Plume and Mormon Tea. Trees include Cedar and Juniper. 1. This ranch is 42% deeded which is very unique for an Arizona cattle ranch. With its high percentage of deeded land, this makes it an excellent investment opportunity. 2. 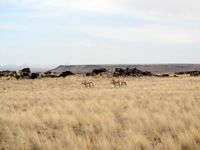 The ranch is located adjacent to Wupatki National Monument and seven miles east of Sunset Crater Volcano National Monument. 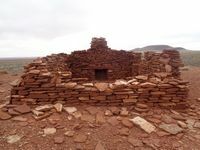 Wupatki is rich in Native American ruins built by the Ancient Pueblo People of the Cohonia, Kayenta Anasazi and Sinagua. 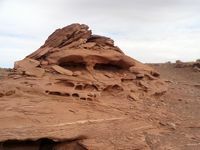 Both National Monuments are popular tourist attractions on the way to the Grand Canyon. 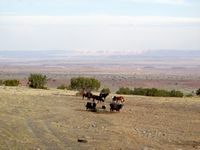 The ranch adjoins the Navajo Indian Reservation on its eastern boundary. 3. 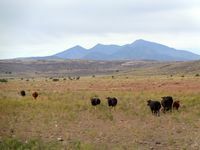 The ranch has scenic and majestic views of the San Francisco Peaks to the west and the Painted Desert to the east. 4. 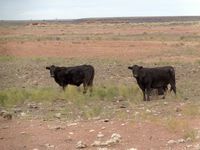 The ranch is located in one of the most popular areas of Arizona. $20,000,000 or $1,143 per deeded acre, submit all offers. Please click here to download (about 9 MB) a printable brochure in Adobe Acrobat format. If you get frustrated trying to make this work on your computer, don't hesitate to ask us to mail you a printed and bound brochure instead.